Greer Cummiskey Pester was born in 1988 and studied at Edinburgh College Of Art, 2006-2010, graduating with a BA Hons in Painting and Sculpture subjects. 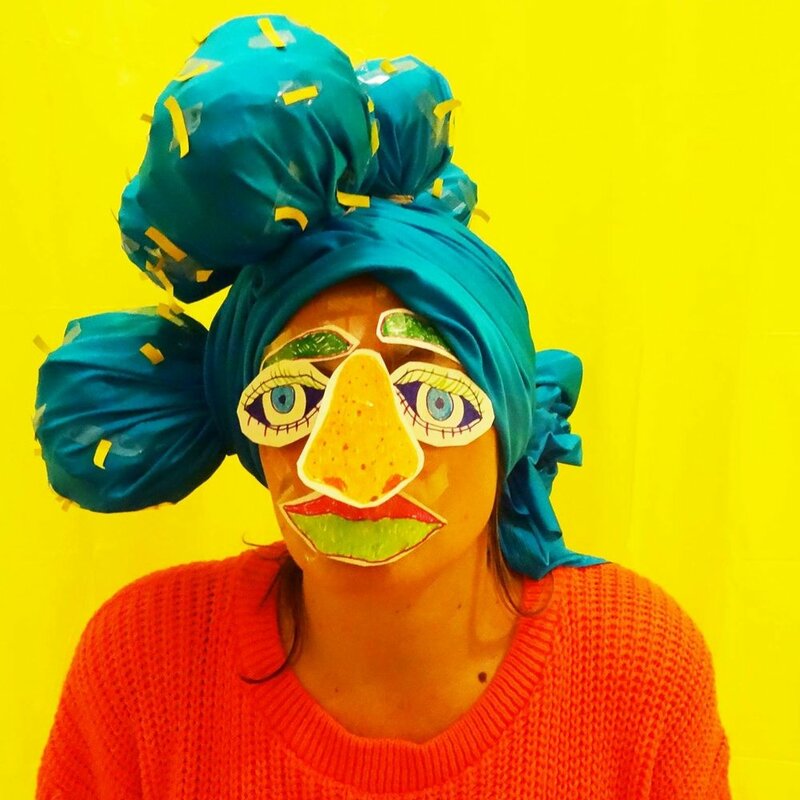 From there she found herself moving into the social art sphere after working with Community Arts: Open Space in West Dumbartonshire for 5 years to build up extensive experiences facilitating and programming a variety of workshops in arts and drama to all ages and backgrounds. During this time she also worked as a play worker which in turn enhanced her love for creative play and working alongside children. Now she works freelance and has been delivering creative workshops with various organisations, museums and institutions around the UK for over 8 years. She has done residencies in Puebla and Oaxaca, Mexico - researching Dias de Los Muertos during a cultural exchange. She’s also exhibited in Mexico in 2013 , 2015 and 2017. In 2015 she took part in a 2month residency in Saint Louis, Senegal at WAAW maison, facilitating workshops in local schools and collaborating with her sister Ruby Pester on a performance piece around the theme of the balance of siblinghood. Her most recent projects have taken her back to Mexico where she has been working closely with First Food Residency to develop and facilitate a series of creative outreach workshops around native foods in Mexico and the UK. This education program has been delivered in London, Reading and Glasgow over the past 2 years with support from the British Art Council. She currently lives and works between the UK and Mexico. She teaches Art at British international primary school The Wingate in Mexico City and this autumn will be researching native foods of Scotland to design and deliver a creative programme in Mexico in the new year, taking a closer look at Scottish folklore and culinary roots and staples. The themes and motifs in Greer’s art practice look at the innate elements of life which make us feel most human. A colourful observation of the raw, fleshy and juicy areas of life that feed the soul. Through symbology around food, Greer examines sexuality, intimacy, fertility and taste. She uses paper-cut designs and collage pinned on foam card and cork interlaced with hand painted visuals, tactile media and text to convey some grander musings on how we connect to our more essential human state.